Small and large apartments, fully-equipped kitchens, choice of balcony or terrace, WiFi & TV available, co-use of washing machine and dryer, bike hire, own bikes welcome, bicycle parking alongside house, maintenance cleaning is covered. Bus, restaurants, cafés and tram are within walking distance, shops within a short cycle. 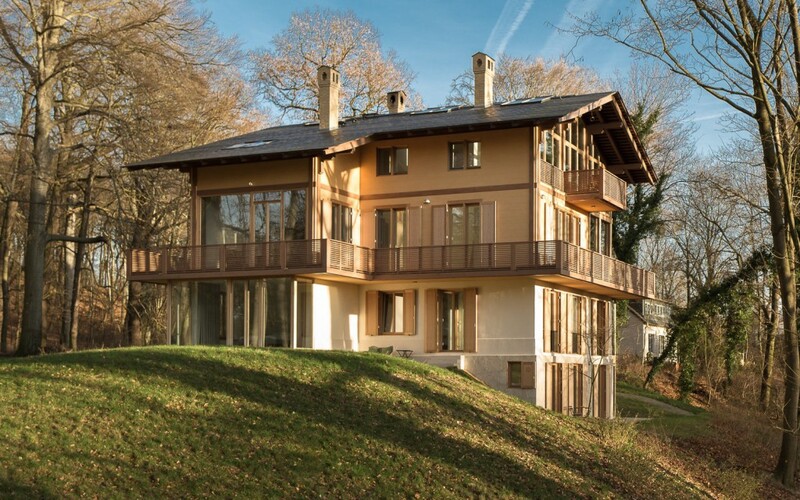 The Parkchâlet offers a unique temporary place to stay – is ideal for the creative, for peace-seekers, nature lovers, film and academics, dreamers and pleasure-seekers, philosophers, literati and every other kind of homo sapiens. At home in Potsdam and Berlin Live and work with concentrated focus among comfortable and clearly-designed architecture. Despite work, get moving and keep moving – on foot, bike, or by jogging, swimming, rowing, golfing or sailing. In a park landscape conceived of more that one hundred years ago, stroll around and allow yourself to be inspired in a rich variety of ways. Monthly prices and available dates are discussed individually.